Meet the team with over 50 years combined experience in non-profit and child welfare program development. Fostering Change Network’s expertise in child welfare begins with Founder and CEO Shalita O’Neale, a highly trusted and nationally recognized professional both inside and outside of both social work and foster care circles. In addition to her own experience in the foster care system, Shalita possesses over 13 years’ experience working and advocating for youth and alumni of the foster care system. Shalita is originally from Baltimore, Maryland where she entered kinship care after the death of her mother at age 2, then bounced back and forth between family members before officially entering Maryland’s foster care system at the age of 13. Shalita founded Fostering Change Network, LLC (FCN) in 2012 as a way to use her 13 years’ experience in child welfare training, program development and advocacy to connect young professionals with foster care histories, like herself, through local and national professional networking events such as the Alumni Powerhouse Networking Conferences (APNC) that have taken place in Maryland, California and New York City since 2015. In 2016, Shalita’s desire to empower adults from foster care to secure resources to allow them to contribute to the economic development of their communities led her to found the Fostering Change Network Foundation- a non-profit organization that will provide fellowships and micro-grants to alumni of the foster care system interested in starting their own businesses, non-profits and other professional endeavors. Through all of her personal and professional endeavors, it is Shalita’s ultimate goal to dispel the stigma of foster care by highlighting the contributions of alumni of the foster care and providing them with the resources, tools and peer network that will allow them to excel. Shalita has spoken nationally and internationally at numerous seminars, conferences and workshops on the foster care experience, and she takes every opportunity to emphasize the importance of community collaborations and partnerships to assure the successful transitioning and former foster youth population. Shalita does not believe in reinventing the wheel. Instead, she understands that community organizations and non-profits must learn from and support each other to improve outcomes for youth without families. Shalita holds a Bachelor of Arts in Criminology from the University of Maryland at College Park and a Masters of Social Work from the University of Maryland Baltimore. She serves on the Children’s Justice Act Committee (CJAC), she is a member of the Board of Directors for the Legal Aid Bureau of Maryland and a proud graduate of the Greater Baltimore Committee’s 2013 Leadership Program. Susan Emfinger is a senior program management and fundraising professional with over 15 years' US, UK and France experience in strategic planning and implementation, employee and customer recruitment, and in partnership, staff and program establishment and management. She has supervised programs that support at-risk youth through encouraging educational achievement and providing job training and work opportunities. In addition, she has raised more than $30 million for universities in the US and UK, most often when no significant gift fundraising had previously existed, and she has restructured development and alumni relations teams to increase major gifts by over 20% annually. Because of her own experience in foster care, much of Susan’s work has been to improve outcomes for foster youth through higher education. While at Michigan State University, she worked with a colleague and the School of Social Work to found the first named, endowed scholarship in the country to support students with foster care histories, thus providing the foundation of what is now the university’s highly successful FAME program. Susan earned a BA in French from Michigan State University, and she is authorized French-English interpreter for the State of Maryland Court System, as well as an interpreter and translator for nonprofit organizations and their clients throughout the mid-Atlantic. Susan possesses a master's degree from the School of International Affairs at Columbia University. Shantel Randolph has a 9-year history in the non- profit & child welfare sector. Shantel’s history of work includes Founder of Foster Youth Inc. and former Deputy Director position of Hope Forward Inc. Shantel worked closely with the Executive Director on fundraising strategies that have yielded highly successful fundraising opportunities to support the work at Hope Forward Inc. Hope Forward, Inc; was a non-profit organization which worked with transitioning foster youth ages 17-25 to employment, educational resources, housing and supportive networks. Shantel’s grant-writing skills and relationships with local Foundation funders and key community figures was critical in creating sustainability outcomes for Hope Forward Inc, from 2008-2015. In 2007, Shantel Randolph was awarded a grant in the amount of $48,500 through Open Society Institute and a Community Fellow in Baltimore Maryland. This social innovation grant was used to establish the program F.Y.I. (Foster Youth Incorporated), which works with youth in foster care to advocate for rights through Baltimore City School System. In 2011, Shantel was awarded the Human Rights and Justice Champion award along with A Step Closer Foundations Foster Care Alumni Champion Awards for her work with foster youth and improving the child welfare system. 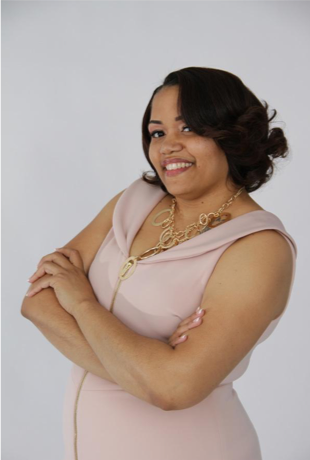 Jamole Callahan is a national and international trainer, program manager, motivational speaker and curriculum developer. His areas of expertise include: ensuring permanency for older youth, successfully structuring independent living programs, leadership development and youth development. Jamole spent six years in foster care, where he experienced multiple moves before he emancipated at age 18. Today, Jamole has a vision for empowering foster parents, caseworkers, and foster care youth and alumni to succeed. Jamole works regularly with legislators in Ohio and Washington D.C. to help shape policy to better serve alumni and youth who are currently in care. Successful legislative initiatives include: mandating normalcy for foster youth at both the state and federal levels, extending foster care to age 21 in Ohio, and the U.S. Fostering Stable Housing Opportunities Act. He has been recognized for his work by the Ohio and New Jersey Legislatures. What cannot be adequately communicated via the printed page is Jamole’s amazing “energy”, his uncanny ability to be perceived as “cool” in any situation and the almost mysterious way in which he can find common ground with anyone he meets (and we mean anyone), successfully working from that point to create opportunities for all parties concerned. Jamole Callahan holds BA in Music Education from Central State University. He is also a Board Member of UMCH Family Services, a comprehensive children’s mental health and child welfare agency that helps families stay together, reunify or become new forever families. Greatest of all his accomplishments: Jamole is a proud father of four children and a devoted husband to Nealita Callahan, his wife of 12 years. Shawnta Jackson is that person who leaves a lasting impression. She listens, asks thought provoking questions, and proposes realistic and measurable solutions. She is a leader, mother and social entrepreneur with a vision to help people help themselves and others. For the past nine years, she has worked with organizations and teams across the United States to plan, implement, evaluate and share the outcomes of their stakeholder and community-engaged initiatives. 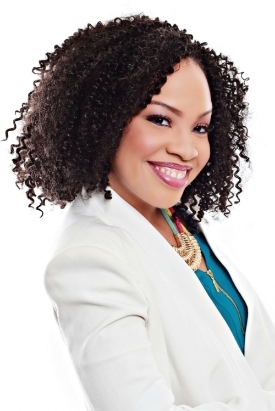 She also serves as a facilitator and guest speaker for various professional audiences throughout the United States. Her background includes community engagement, stakeholder relations, integrated marketing, train-the-trainer, curricula development, program planning and program evaluation in the areas of education, sexual and reproductive health, chronic diseases and the social determinants of health. Shawnta holds a Master of Public Health degree in social and behavioral health from University of Nevada, Las Vegas, and a Bachelor of Arts degree in public relations from Columbia College Chicago.